Coffee is a popular drink for many people. For some, it means a caffeine kick in the morning that lets us productively start the day. For others, coffee is a ritual to which family and friends come together, exchange ideas and discuss problems and concerns. Almost every household has a filter coffee machine, but more and more people want to buy a coffee machine use Coffee Grounds For Skin and health. However, coffee or coffee grounds and the contained caffeine can taste much more than good. 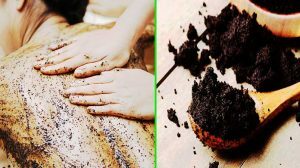 As is known, coffee and coffee grounds are right miracle products that can be used in many ways in households and gardens. For our beauty tips, it does not matter if you own a professional coffee machine or brew your coffee with a hand filter. 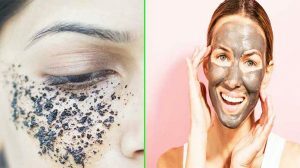 Coffee or coffee grounds in facial masks work wonders. Because the antioxidants counteract the skin aging process. The contained caffeine stimulates the blood circulation and makes the skin look fresher and younger. The coffee grounds from the professional coffee machine act like an exfoliant, which removes dead skin flakes. 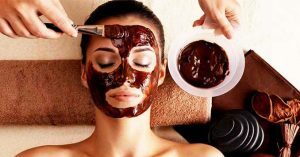 Just mix two teaspoons coffee grounds, 2 tbsp honey, and 2 tbsp olive oil into a mask and apply smoothly to face and neck. Save the eye area. Let the mask work for 15 to 25 minutes before rinsing with lukewarm water. The antioxidants contained in the coffee from the professional coffee machine protect against hair breakage. A coffee conditioner gives back to dull and excellent hair strength and fullness. The caffeine promotes hair growth by stimulating the hair roots. However, beware: coffee has a coloring effect, so this hair conditioner should only be used on dark hair. So this is how it works: prepare a coffee with the professional coffee machine and let it cool. Massage this into the scalp and hair, including the coffee grounds, and wait 20 minutes. Then rinse with lukewarm water hair thoroughly. According to research the regular treatment of hair with coffee promotes hair growth and strengthens hair roots. 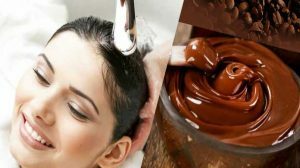 DIY:- Mix a handful of coffee grounds with a dollop of shampoo or conditioner and work gently into the hairline to stimulate blood circulation to the scalp. Wait a few minutes and rinse. Anyone who has ever slept poorly and too short knows that: dark circles. However, who cleverly uses his coffee grounds, can quickly remedy. Merely take the coffee grounds from the coffee machine with your home, apply under the eyes and leave for five minutes. The caffeine narrows the blood vessels and removes the fluid from the swollen areas. Swelling and dark circles are reduced. Finally, carefully remove the coffee grounds with lukewarm water. DIY:- Dip two cotton pads into a cooled cup of coffee. Wring them out and put them over closed eyes. Then wait 10 minutes for the liquid to be absorbed by your skin. A coffee body scrub can be mix with various ingredients. You mix a few teaspoons of coffee grounds with honey and or oil (jojoba oil or olive oil). Applying to the skin lightly removes dead skin flakes while stimulating cell renewal. With regular use, the appearance of the skin is a lot improved. Also, the coffee body scrub helps to prevent cellulite. Empty the office coffee machine after work and then do something good at home. Who does not know that even after some time after cooking, the hand’s smell of onions, garlic and Co. Washing hands with soap does not help? Very uncomfortable. Coffee grounds come into play. Brew coffee with the office coffee machine and enjoy it while the coffee grounds cool. Then rub your hands with coffee grounds and rinse off. Already the smells have disappeared through cooking. People who buy a coffee machine have the advantage of being able to get a quick coffee break at any time. Also, our feet need some attention now and then. 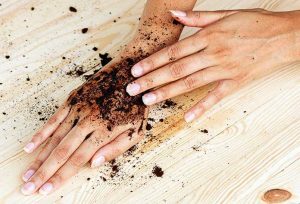 To do something good for them, mix some coffee grounds with olive oil for a quick foot scrub. 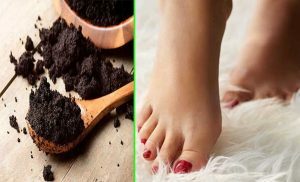 Just like the body scrub mentioned above, the coffee grounds foot scrub removes dead skin cells. Also, it reduces the annoying cornea and prevents it. Thanks to the caffeine, the circulation of the feet is stimulated. The olive oil provides supple and soft skin. Not only in winter our lips suffer and become brittle. The summer also claims our mouths. The air is dry, and salt water dries when bathing. That’s why they need some care now and then. With a mixture of honey, oil and coffee grounds from the professional coffee machine dry and chapped lips are soft and supple.